is a digital-first publication that was founded in 1908 as a community newspaper. It regularly beats out the St. Louis Post-Dispatch, Kansas City Star and Columbia Tribune for state journalism awards. For more information, visit the Columbia Missourian website. 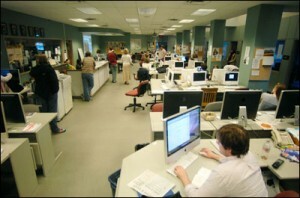 Many of its alumni now write for leading newspapers, magazines and websites. Others are working as photographers, designers, graphic artists, copy editors, Web developers, etc.